ZIMBABWE Cricket have embarked on a recruitment process for new franchise general managers ahead of the 2018-19 domestic season. ZC advertised four posts for franchise general managers to undertake roles at Matabeleland Tuskers, MidWest Rhinos, Manicaland Mountaineers and Mashonaland Eagles. These franchises provide the four teams that make up Zimbabwe’s domestic competitions namely the Logan Cup, the Pro50 Championship and the T20. The advertisement sent out by ZC Media and Communications manager Darlington Majonga outlined the overall job purpose. “The franchise general manager is responsible for the overall performance of the franchise. 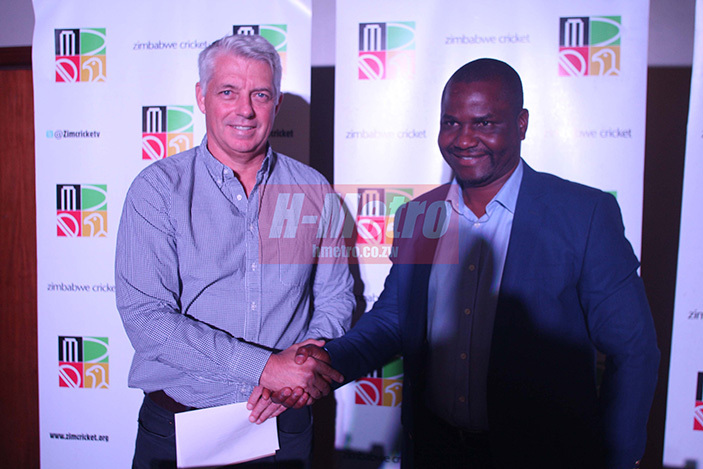 This latest development comes at a time when ZC are making efforts to bring financial sanity and accountability with the assistance of the International Cricket Council. ICC CEO Dave Richardson recently visited Zimbabwe with ICC chief financial officer Ankur Khanna and Titans Cricket CEO Jacques Faul of Cricket South Africa. This delegation had a workshop with the ZC management and agreed on a strategic business, financial and cricket plan to move the local game forward. The candidates being sort after by ZC should be able to take cricket within their franchises forward in line with ZC and ICC preamble. “The ideal candidate should be a visionary leader with the ability to formulate and implement strategy and have ability to motivate a work force. “The candidate should also have effective management, delegation, negotiation, communication, good public relations, presentation and complex problem solving skills. “The individual must have good understanding of sports business operations, must have a strong financial acumen and in depth knowledge of markets and changing business environments. Official dates to the start of the domestic season will be made known possibly once the franchise general managers take office.